Right now I am between things, but #incrediblyblessed!!! I had the last of the first section of chemo at the end of June. I knew it would be a tough one. I was tired and achy. My bones hurt. My fingernails hurt and the bottom of my feet felt like I had stone bruises. It took longer than usual for all of that to lessen (it doesn’t always go away). 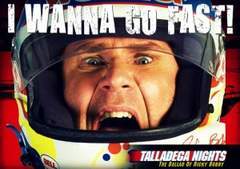 I’m going slow, but “I WANNA GO FAST!” I am SO ready! I go for a PET scan in Tupelo July 25 and get the results when I see Dr. Hill again on July 26. Apparently the medicine needs to work in my body for 4-6 weeks for the optimum effect. Everything is riding on what the PET scan says. I know I will be taking six more months of one of my chemo medicines. Hopefully it will be a half-day once a month, as opposed to a full day plus two days with the 5FU bag every two weeks — much easier, I’m thinking! Still “gimping around” with the blood clot, but at least I am past the point of it breaking off and causing further damage. It just swells and hurts when I am “over doing it!” I like “over doing it” apparently, but these days, too much of what I call my “Gwen-isms” leads to pain. It is a tough lesson to learn. And then it is Hee Haw songs at the top of his lungs between naps at my house!!!! Lord help us all!